Becoming a Special Agent in 1973, Mr. Wedick’s accomplishments include initiating the FBI’s “OPFOPEN” investigation that targeted globe-trotting conmen using “offshore” banks, undercover roles in the ABSCAM probe where members of Congress were prosecuted for soliciting bribes and prosecuting the sons of New York mobster JOE BONANNO. As a result of a 3-year undercover probe of the California State Legislature in 1994, Mr. Wedick received the FBI Director’s Award and his performance was cited in the U.S. Congressional record for prosecuting 5 California lawmakers on RICO and corruption charges. Because the investigation involved a complicated “undercover” scenario using “bogus” legislation, Mr. Wedick was featured in the Los Angeles Times Sunday Magazine and he was nominated for the Attorney General’s Award. Amid allegations suggesting Fresno officials sought “bribes” in exchange for favorable zoning—Mr. Wedick launched the REZONE probe prosecuting 17 defendants with RICO and corruption violations. And because auditors suggested Medicaid Fraud had become the crime of choice among thieves, Mr. Wedick launched 3 Health Care Fraud Initiatives prosecuting 324 medical providers with defrauding funds totaling in excess of $228 million. The successful FBI Initiatives attracted the attention of broadcast and print journalists alike, including 60 Minutes’ Mike Wallace and the Los Angeles Times who did a nine-part series detailing the fraudulent abuse of California’s Medicaid Program. 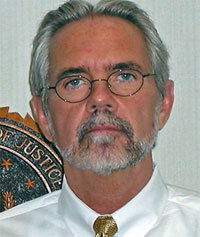 Retiring from the FBI in 2004, Mr. Wedick was retained as an expert/consultant in three  nationally publicized terrorism prosecutions—the HAYAT case in Sacramento, California; the LIBERTY CITY SEVEN prosecution in Miami, Florida; and the BRIANA WATERS investigation in Tacoma, Washington. In the HAYAT case, Mr. Wedick secured juror affidavits suggesting racial bias and misconduct contributed to the “guilty” verdict. For an in-depth analysis see PBS FRONTLINE documentary titled, “ENEMY WITHIN,” or NBC report by Lisa Myers titled, “REASONABLE DOUBT,” and/or Los Angeles Times Sunday Magazine cover story titled, “MUZZLED” by Mark Arax. In August 2008, in People vs. Guillermo Ramirez ET AL, Mr. Wedick appeared in California Superior Court as an expert witness where he testified that an FBI agent’s comments made during a polygraph/interrogation session were “threats” made to induce a witness to change her statements. He testified the threats were a violation of the FBI’s Policy as detailed in the FBI’s Legal Handbook for Special Agents. Both defendants were later acquitted. In April 2004, Attorney General JOHN ASHCROFT described Mr. Wedick’s investigations as “models” for other agents to “emulate.” Because he was responsible for handling some of the FBI’s most complicated and sensitive investigations—many using Confidential Informants, Cooperating Witnesses, and FBI Undercover Agents—he can readily provide a professional opinion concerning whether steps taken were appropriate and/or whether a particular investigation was conducted in accordance with established FBI Policies and/or Procedures. Disclaimer: Because Mr. Wedick retired from the FBI in 2004, he does "not" have any current affiliation or connection with the U.S.
Department of Justice, Federal Bureau of Investigation, and/or the United States Government.